Tis the season to watch spooky movies! Here are some of my favorites! I refuse to watch the Exorcist alone or at night time lol. The Ring is really creepy too! I like the family friendly choices. As far as classics go, I take it old school with anything Vincent Price. Girl, you have GOT to watch more! They are delightfully funny and creepy. I bought a DVD at Wal-Mart for $5 with three of his movies and it's a tradition to watch at Halloween. The Shining is my favorite horror movie by far! Amazing picks!! 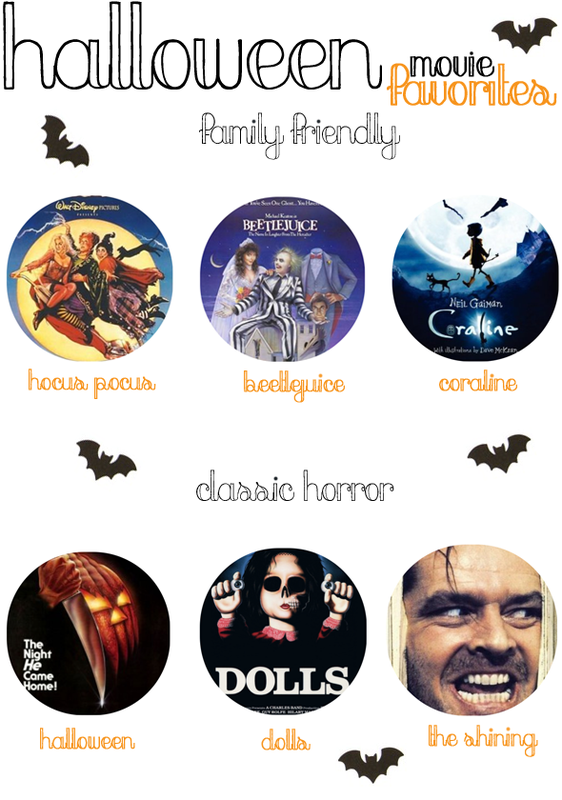 I've watched all of these this Halloween season! Shining is in my halloween list, is pure art! !